When I posted this shot in 2008 at Flickr, it did not get even a single comment. 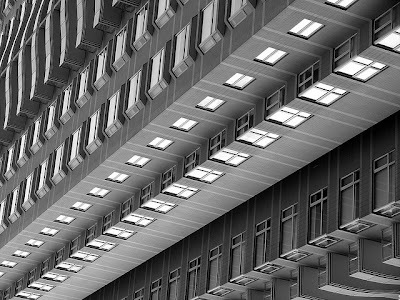 In 2010, the popular photography site Photo Tuts Plus had a feature on abstracted architecture in photography. Among the 80 examples picked, one was mine (Building blocks, also in this set). They also used the shot above to illustrate one of the five main tips on the subject, but frankly I did not immediately recognize it as mine... In hindsight, I love the Eschersque feeling of distorted reality that this special point of view induces.